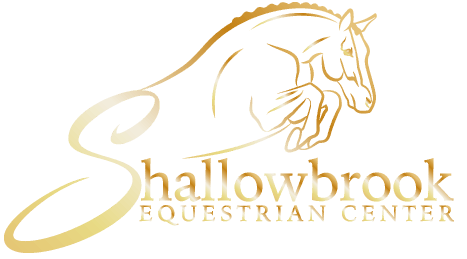 Shallowbrook Equestrian Center opened its doors November 25th, 1962. At that time Hal Vita and his family began operating a 17-stall stable with a light load of four horses and two ponies. The surrounding fields offered much promise, but nothing more at that time. Shallowbrook’s first AHSA sanctioned show in 1963, was a one day event which eventually led to the Center’s annual four day “A” rated Fourth of July Olympic Committee Horse Show (date changed to second week of June) drawing hundreds of riders and a number of celebrities to its galleries. In 1969 Shallowbrook felt growing pains and to relieve the ever present need for expanded facilities, the center purchased land enough to lay out the Giuseppe Vita Memorial Polo Field and an exercise track, thus adding much needed outdoor facilities and bringing the area committed to equestrian training to a formidable 50 acres. In 1974 Shallowbrook took on a remarkable new look. It expanded its ability to conduct year round shows and large classes during inclement weather by the construction of a four story enclosed arena, complete with a 120 by 225 foot dirt floor, with bleachers and accommodations for judges and polo matches. This combination of two attached arenas allows participants in Shallowbrook Horse Shows to remain under cover for the entire event. This affords entrants a more convenient environment in which to concentrate on their competition and schooling.